I wasn’t initially very impressed by the announcement of an Uber credit card by Barclaycard. 2% cash back on UBER rides, online purchases and subscriptions; and 1 percent cash back on all other purchases. There’s no annual fee and no foreign transaction fees. My first thought was “who needs this?” I already have the Chase Sapphire Reserve which earns 3x Ultimate Rewards on dining and can therefore be redeemed for travel at an effective 4.5% cash back (since travel can be redeemed at 1.5 cents per point). I also get 3x points (4.5% effective cash back on travel. 2% cash back on online purchases? That’s great – but I already have a Citi DoubleCash if I want straight 2% cash back. And my Chase Business Preferred already gives me cell phone insurance. All of that said, my Reserve does have a $450 annual fee (really $150 after the super easy to use $300 annual travel credit) but the thing that perked up my ears? According to a NY Times article, the points may become transferable to airline programs in 2018. I’m not going to get the card now speculatively but I’ll be keeping my eye on it. A no annual fee card with 4% back on dining, 3% on travel and 2% online – transferable to frequent flyer miles? That would be a YES. 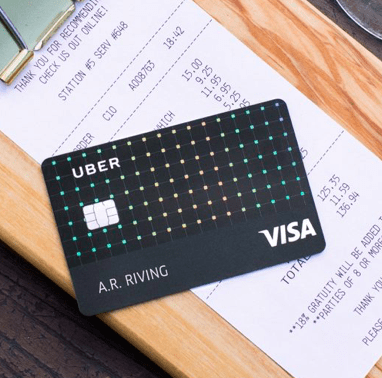 Would you consider the Uber credit card? Let me know here, on Twitter, or in the private MilesTalk Facebook group. I will wait for transfer partners and travel insurance perks before I get this card. CSR, paired with Chase Ink, Freedom and Freedom Unlimited still reigns as the kings of credit cards. 100% agree. Only would top that combo if that really do get transfer partners including who and at what transfer rate.